It was Child.org's biggest, most ambitious and complex programme to date. Using our first ever Comic Relief funding, we scaled our comprehensive school health programme to 25 schools at a cost of £316,056. But did it work? We've just finished creating a full report on HealthStart 2: what we spent, what we learned and what we achieved. The full report is available for anyone to download at the foot of this page, this blog will give you the headlines! Where did HealthStart 2 come from? HealthStart 2 is the second iteration of Child.org's school health programme, HealthStart. HealthStart advocates a holistic approach to child health, tackling a whole range of health issues for children at once, helping them get the most from their education. The first version of HealthStart was a pilot, which we're now imaginatively referring to as HealthStart 1. 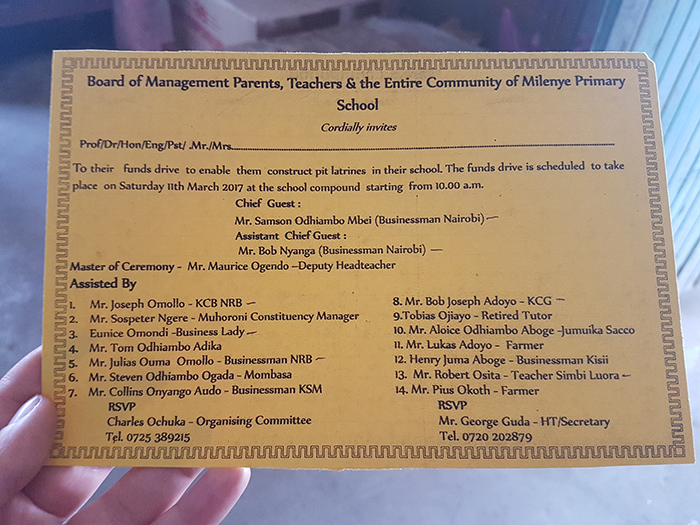 This ran in two schools in Kisumu, Kenya for two years. We wanted to prove how effective this comprehensive approach to child health could be. It worked: we delivered a whole suite of health interventions at once, and the effect on the health of pupils in the schools, and their educational attainment, was transformational. HeathStart 1 was entirely funded by our visionary partners, Festival Republic. This iteration of HealthStart was all about strengthening systems within schools, their relationships with external bodies and their communication with their wider community. We wanted to show that schools could deliver their own health interventions, if they were provided with the right structures and health information about thier pupils. ​The programme provided worming medication and health education to 11,690 children. In total, counting community members and parents, this programme impacted on the lives of 56,985 people. There were two key areas that presented particular challenges during HealthStart 2: digital data collection and management; and the political environment. We initially planned to develop our own data collection tool for HealthStart 2, but before investing in this we decided to try an existing tool called SnapStory. (We had accepted that the majority of the data would need to be collected by hand, but wanted to introduce a digital system to speed up the process and to reduce opportunities for error.) While we had some success with this, it became clear that the app was slowing down our team. Whilst in the field, the team quickly reverted back to using their tried and tested method; writing the results down on paper. We managed to reach a compromise at later project sites by taking laptops and inputting directly into spreadsheets, therefore reducing the opportunity for error. We have recorded some key learnings from this experience that should enable us to improve the process next time. The biggest setbacks and difficulties we faced during the programme were due to the political climate. Kenya has a relatively stable potitical environment, but big events like the elections and political unrest last year impacted on the programme. To mitigate this next time, we'd prefer to run the programme over a longer time frame, to give everyone more time to catch up after short term disruptions. As we learned in our HealthStart 1 pilot - community engagement beyond the schools is key to making sure we deliver long-term change. We wanted to make sure the messages that children were receiving about their health at school were reaching home and being reinforced int he wider community. It was also very important to provide parents and caregivers with health information about their child. 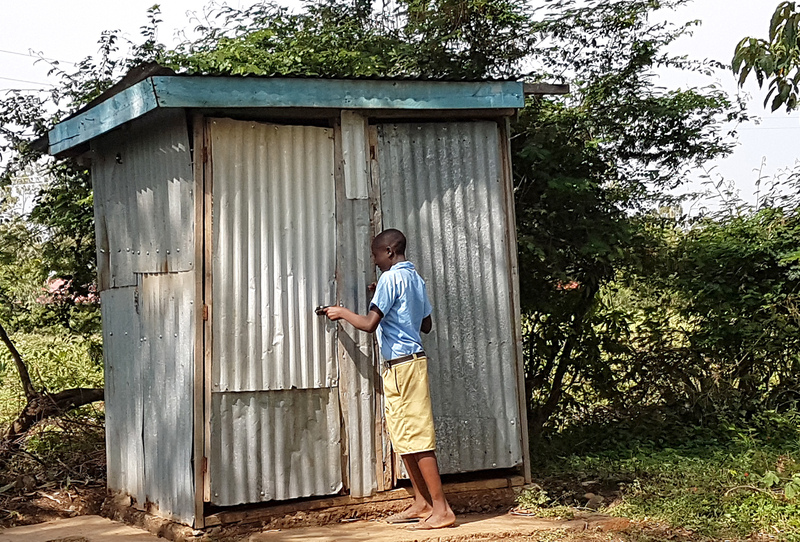 By ensuring schools were familiar with Kenya's schoool health policy, providing educational materials and by creating and training up school Health Clubs, we increased understanding of a whole range of health issues and behaviour. We're seeking funding for two further iterations of the HealthStart programme. Having previously run HealthStart in and around Kisumu, HealthStart 3: Narok will bring HealthStart to a new area of Kenya, where children face different health difficulties. This will help us test the flexibility of HealthStart, and build contacts and relationships in a new area of Kenya. HealthStart 4 will be a huge project, where we work with government agencies to scale the programme to run across an entire county. This has the potential to reach 200 schools, and over 50,000 children. It costs Child.org a significant amount of money to apply for funding to deliver a huge programme iteration like HealthStart 3 and 4. (It also costs us money to write blogs and produce reports, which we do because we believe in being transparent about the fantastic work we're achieving with your donations, and to encourage further support!) We rely on your donations to make this happen. If you believe in what we do, and you want to donate money that could have an enormous impact, do something amazing. Donate. If you would like to request a printed copy of the report, drop Francine an email at hello@child.org.